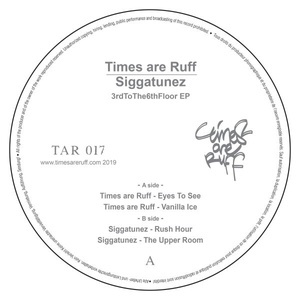 Siggatunez debuts on Times Are Ruff and splits a 12" with the label owners. Both share a Berlin connection through their studios being located in the same building, something unknown at the time the first contact was made. Unsurprisingly that became the theme for this joint effort of music; both sides contain serious dance floor-intended tracks, in the signature style of the label, where beats and groove take the lead, while keeping the soul.